Ladies and Gents, well heeelllooo again. Back from the PUP designated to return list, let’s jump in. We are looking down the barrel of Week 11. Turkeys everywhere are furiously writing letters to their respective Governors. What have we learned? – Tom Brady only needs 3/4 of a season to be 2 1/2 times better than everyone else in the league. That’s a lot of fractions right out of the gate, but whatevs. Tommy is the best. Ever. -All is right with the world when the NFC East is relevant. -Houston only scores TDs by falling into the End Zone, which is kind of appropriate, because they have tripped into first place. Don’t look now, but the Oilers Titans look pretty, pretty, pretty good right now. -I wake up every morning and thank my Heat Miser bobblehead that I am not a fan of a team in the AFC West, where 7 wins is only good enough for 3rd place and the most fun team to watch in that division is in dead last with 4 wins. -The Lions are in first place. Hahahahaha. No, seriously. They really are. But talk to me in a month when they are holding down their birthright of 3rd place. -Superbowl runner-up Carolina has 3 wins. Good. -The Cowboys have already doubled their win total from last season. Ugh. Dammit. She’s a lawyer now. And not nearly as fun as she used to be. But seriously. I would enjoy watching that show approximately 1000% more than I enjoy watching their respective teams. The Raiders and Texans are playing in Mexico this week. El Lunes. That means “on Monday”. Google translate is wicked smart. Oakland might win the Super Bowl. And then promptly move to Vegas. That. is. amazing. Alright, let’s get to the good stuff. Here is your week 11. 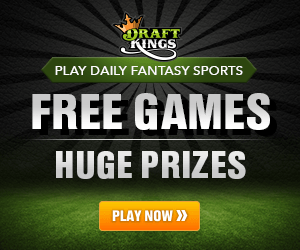 Remember all prices are draftkings.com based. Fresh of the efficient shellacking of Green Bay in which he went 19/26 for 295 yards and 4 TDs. Tennessee has scored at least 35 points in 3 straight games. MM has thrown multiple TDs in every game but 2 this year. Has anyone told this kid that this is supposedly a run first offense? Next up he gets the Colts, who are 31st against the pass and 22nd against the run. The over/under for this one is 54, so a shootout seems likely. This is a statement game for the Titans. This game will dictate the direction of this franchise for the next 2 to 3 years. I’m all in on the Titans this week. 285 yards 2 TDs by air, 1 on the ground. This week looks pretty easy to the trained eye as far as RBs are concerned, as these 2 will be in virtually every lineup I create this week. Coming off a typical day at the office for Ware, in which he tallied 13 carries for 61 yards on the ground and added another 3 catches for 11 yards. Always a fan of the Chiefs at Arrowhead, Spence loves him some home cooking, as he averages a robust 74 yards on the ground and another 63 in the air at home this season. Next up he gets the Bucs, who are in the bottom 10 defensively against the pass and the run, giving up almost 400 total yards a game, with an average of 118 on the ground. Yup. Them is some nice lookin’ numbers. 150 total yards and a TD for good measure. I’ve been rolling with Blount all season long, so why stop now? The days of an unpredictable NE running game are long gone. The Pats offense is as straight forward as they come. Brady throws it wherever he wants and Blount runs over whomever he chooses. Fresh off of 21 carries for 69 yards and all 3 of the Pats TDs last week in the loss to Seattle. With his 3 last week, Blount now leads the NFL with 12 rushing TDs. He is also 5th in the league in rushing, averaging 23 carries a game. He has scored in every game this season except the game in which they got shut out by the Bills. Next up are the Niners, who give up on average 180 yards a game on the ground. Tommy and the Pats will be up early and often, as this is essentially a home game for Brady. 30 carries are well within reach this week. If he gets 30 carries, he will eclipse 140 yards and TD before he probably sits out the entire 4th quarter with the rest of the first string offense. Apparently if you have the last name Matthews, you increase your chances of playing in the NFL by 34.5%. I’m taking the triple cheeseburger in Tennessee this week. This guy is Chris Carter 2016 edition, as all he does is catch TDs, scoring 4 in his last 3 games and 6 in his last 6. I’m not a Mensa candidate or anything, but that sounds really good. Mr. Matthews went up and got 3 of 5 last week for 63 yards and his required TD. Again, this Offense as a whole is headed in the right direction. You’ve got to beat division rivals on the road to be taken seriously in this league. Tennessee is on the clock. 80 yards (Carter’s number) and 1 TD. The 3 burger in the triple stack might be the most delicious of all. Last game against the Pack, he caught 9 of 11 for 124 yards and 1 TD. 25 catches over the last 4 weeks for 325 yards and 3 TDs. You are paying for this one, as Walker is the 3rd most expensive TE on DraftKings this week, but he is essentially the #1 WR in this offense and you are getting him at 2/3 of the cost of an actual #1 WR. Indy has been brutal against the TE position the past 2 games, giving up 13 receptions combined. And that was to Travis Kelce (who is good) and Richard Rogers (who is not). Walker is better than both of those guys combined. 7 catches 95 yards 1 TD. It’s the Zach Ertz enigma. Or the Ertz Cycle. He is a ghost for the first half of the season, for whatever reason. Injury, scheme, whatever. And then, right on cue, in late November or early December, Ertz starts to go off and carry fantasy teams across the globe to fake football immortality. And then an entire pre-season of hype of Ertz as a sleeper pick, only for him to disappear until the leaves change color. Well, 2016 is no different, so cash is on the surge while the price is low. 14 catches for 152 yards the past 2 weeks. And yes, he faces Seattle in Seattle this week. But there are 2 ways to beat the Seahawks. 1 is to run right at them up the gut to avoid the rush. The 2nd way is to attack them on the seams because a couple of guys named Richard Sherman and Earl Thomas don’t let anyone play on their turf in the deep end of the pool. In the last 8 games that Seattle has lost, Tight Ends have combined for 46 catches, 580 yards and 7 TDs. If you are going to beat them, that is how it has to be done. You are very welcome, Doug. 6 catches 75 yards 1 TD.